Just the thought of having root canal treatment can make many of us wince, even if we’ve never had one before. The procedure is usually painless, however, and will relieve the pain and swelling that usually signals the need for treatment. Removing the affected tissues in the tooth and root allows patients to return to normal, pain-free, function. The root is the part of the tooth that is embedded in bone, holding it in place. Like the root of a plant, it is hidden beneath the surface (gumline) and makes up more than half of the tooth. Tooth pulp is the vital material in the innermost part of the tooth and roots. The tooth pulp chamber and root canal system is made up of blood vessels, tissue, and nerves. Like the rest of the tooth, the pulp is protected by an outer hardened layer of enamel or cementum. Below the outer layer is a thicker layer of dentin. If the outer layers are damaged or traumatized by decay or other means, the pulp can become irreversibly damaged or infected, requiring removal of the damaged tissue. The pulp is a vital component of the tooth, providing blood and nerve supply to the tooth. As you might imagine, if the pulp has inflammation or infection, it can be quite painful. Root canals are needed when there is decay, infection, or other issues within the tooth causing that pain. A root canal procedure, or endodontic treatment, is performed when infected tooth pulp is causing pain and /or infection. Going through the top, or crown, of the tooth, the procedure involves removing damaged pulp tissue, cleaning and irrigating the chamber and root canal(s), and filling the cleansed areas with a sealing material. After the pulp is removed and roots filled, a temporary filling is used to cover the access hole in the crown. A second appointment will then be needed for a more permanent restoration to ensure the treated tooth is sealed and strong. 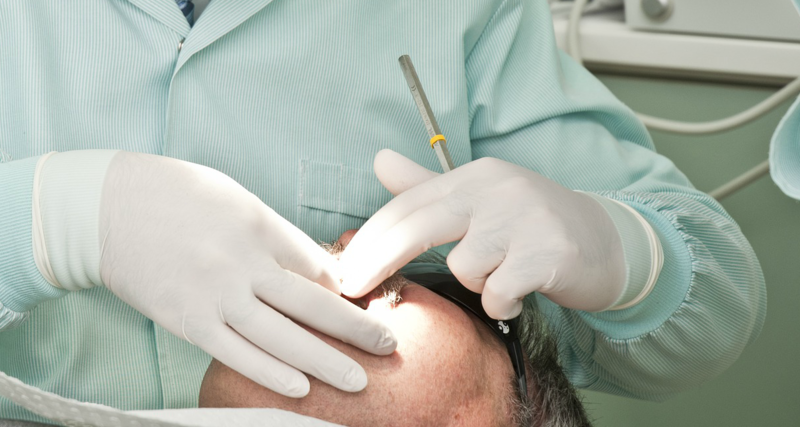 Root canal therapy can usually be completed in one or two office visits. Once the endodontic treatment and final restoration are completed, the treated tooth will function like a natural tooth and normal brushing, flossing, and scheduled visits to the dentists are the only required maintenance. What if I can’t have root canal therapy? In some cases, the tooth is damaged to the point normal restorative practices aren’t feasible. There could be several reasons for this, including extensive root damage, the canals aren’t accessible for treatment, there is inadequate bone support, or the tooth as a whole can’t be saved. The only way to know for sure if root canal therapy is right for you is to schedule a visit with a dentist. They will be able to take x-rays, determine the amount of decay or damage, and recommend a plan of attack. If a root canal isn’t the answer, your dentist will be able to provide alternatives. Creekside Dental has been providing root canal therapy guidance for more than 25 years. In addition to restorative services, we also provide cosmetic services, dental hygiene, and orthodontics for our patients. Want more information on root canals or to schedule a dental visit? Contact us today.